The liturgy is enriched, brought to life and confirmed by our relationships, our work, the quality of our hospitality, our everyday life and by all we experience elsewhere. So liturgy cannot be static, it is life! The community gathers for prayer at least four times a day beginning at the end of the day with evening prayer, followed by compline to take us into the night, then by morning and midday praise. Our liturgy is rooted in that of the early Church and the Jewish tradition. Our faith life and spirituality are nourished by our common prayer and culminate in the celebration of the Eucharist. Common prayer and personal prayer are like our two lungs, and the Eucharist is the heart of the body that we form in Christ. 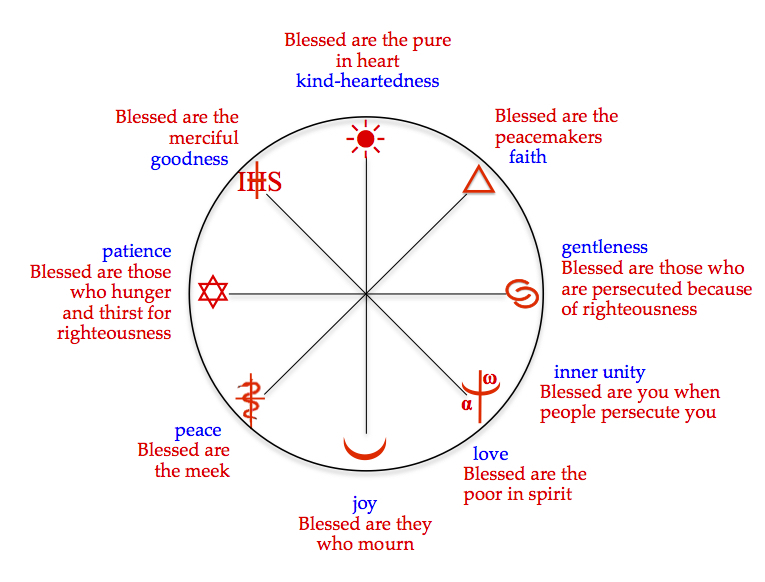 The liturgical cycle shines light on a way based on the 8 stages of the life of Christ.It creates a concrete link between the times of the day, of the year, and the important events in the life of Christ, the Beatitudes (Matthew 5:1-12) and the fruits of the Spirit (Galatians 5, 22-23). The liturgical year consists of the cycle of the Incarnation with the times of Advent and Christmas and the cycle of Redemption with the times of Lent, Holy week and the Easter period, culminating in the gift of the Holy Spirit at Pentecost, before the ‘Ordinary time’ of the Church when the breath of the Holy Spirit is at work, wanting to make disciples of all people of all times to be witnesses, people of communion, who will tirelessly work the earth of humanity, opening sometimes unexpected paths, until the coming of the new heavens and new earth. 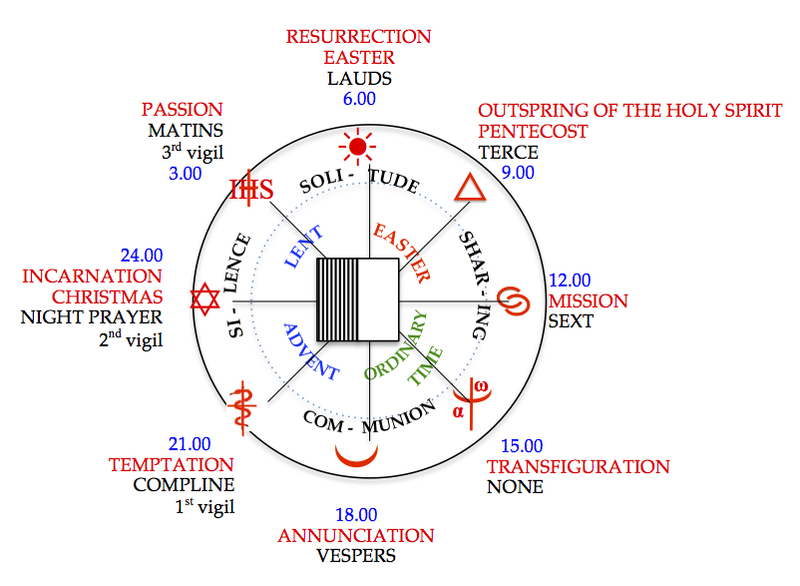 Liturgical cycle from Schwester Vera von Trott, Kommunität Imshausen.